The defining appeal of the book is the legitimacy of the couple’s writing. The authors are no armchair commentators. 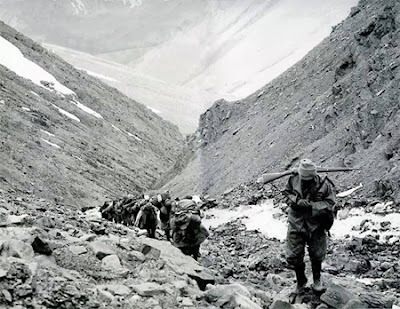 They have put their lives in danger by travelling to many places on the Tibetan Plateau to gather accounts of people and places most affected by dictates from Beijing. 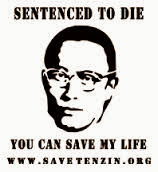 When a posse of the occupying People’s Liberation Army shot dead his root lama in the middle of the Kyichu River on 10 March 1959, Jedung Jampel Lekmon joined a small underground resistance group in Gyangtse, a strategic town in central Tibet. His group soon joined Chushi Gangdruk and engaged in numerous fights against the Red Army. After his escape into exile Lekmon enlisted himself with the Tibetan guerrilla fighters and received training on wireless communication, air signalling and heavy weapons engagements from CIA operatives in Colorado. Immediately after the training they were airlifted to Bangladesh from where they sneaked into Mustang in Nepal via India. This small band of men proved themselves worthy of their warrior ancestors whose spears pierced holes into the Chinese empire over the seventh and eighth centuries. However, in the early 1970s the Tibetan guerrilla movement came to a sad and painful end due to circumstances beyond the leaders’ control. Today the history of the Tibetan resistance is down-graded, unrecognized and often intentionally cast aside by all parties involved, including the exile Tibetan government. A handful of surviving former fighters are at the tail end of their lives, thumbing rosaries and reciting holy mantras to wash away sins they may have committed while fighting for their country. Irony can’t be more acerbic. No good deed, however, goes unremembered. Not in the world of literature, at least. 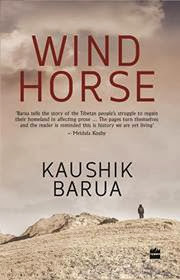 Kaushik Barua’s novel Windhorse is a fitting tribute to these Tibetan resistance fighters. In his delightful prose, Barua has recounted their lives – what was at stake and why so many were ready to forego so much to pick up arms and face death. Barua is a natural storyteller. His book follows the tales of two central characters – Lhasang, who was born in eastern Tibet and grows up soaked in Tibetan culture, myth and folklore; and Norbu, who was born in India’s capital Delhi to a well-off Tibetan merchant but had no idea about his people and their way of life. While Lhasang was entrenched deep in the struggle from childhood, Norbu discovers his roots much later in life. Norbu’s future is fluid, as Barua writes, his vision ‘nameless and barely visible – like a lighthouse in a fog’. 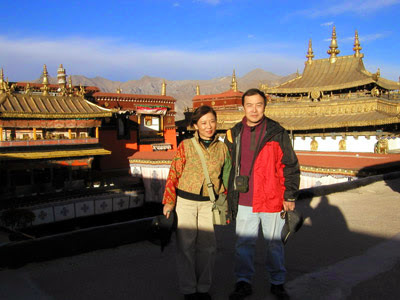 It is Dolma, his girlfriend, who clears the fog and shows Norbu his destination. ‘You can join, Norbu’ Dolma says referring to the rebel group being put together in exile by Thupten, Lhasang and others. Windhorse is a powerful human story. Despite the fact that the narrative is based on the real-day actions of the resistance fighters, it has so many elements of personal stories woven in to create a deep emotional impact. This is a story of dislocation, love, loss, betrayal, conflicts and frustration making it a potent representation of a people who are ruthlessly driven out of their ancestral homeland. Barua’s moving account of the freedom fighters is also likely, in my mind at least, to clear two invalid assumptions about Tibet’s struggle for freedom: that it has been nonviolent throughout and that Tibetan people are always peaceful, compassionate and happy. Characters in Windhorse are such average, everyday people that many – whose minds are overstuffed and saturated with prevalent images of Tibetans – will have hard time accepting that the story is in fact about recent history of Tibet and the people involved in it. This universal tale, evocatively told in a language that reflects the ordeals of people still lingering in refugee camps, will tug at any reader’s heart. 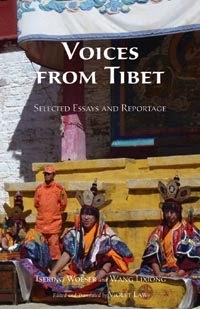 For the Tibetans, Barua’s story appeals to us, in the words of imprisoned writer Theurang – ‘to call upon the courage of our conquering ancestors / to raise their warriors’ swords / to invoke their martial spirit...’ There have to be more Gesars, Milarepas, Lhasangs, Norbus, Athars and Ratus to ignite the embers of freedom. And, there will be more. 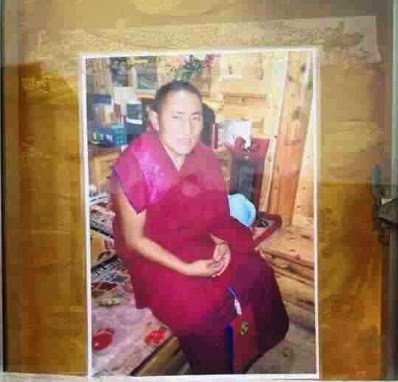 At around 2:30 p.m. (Tibet time) on 19 December 2013, Tsultrim Gyatso (40s) , a monk from Amchok Monastery in Labrang Tashi Kyil, Amdo, northeastern Tibet, set himself on fire to protest against the Chinese rule in Tibet. Gyatso passed away from burns, according to media report.